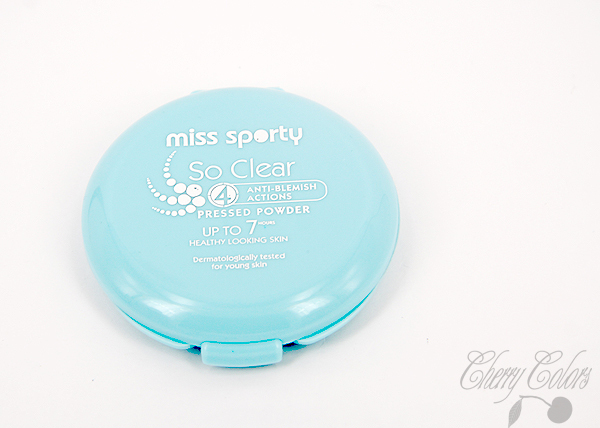 Review: Miss Sporty So Clear Face Powder - Cherry Colors - Cosmetics Heaven! It's been more than two months since I bought this product. I remember it being dirt cheap, and me hoping it would do its job properly on my combination skin. Last time I checked their site - Miss Sporty it was a bunch of weird things in one place. Now it looks so much better! It has descriptions and prices, tho I think the items are a bit cheaper in our stores. 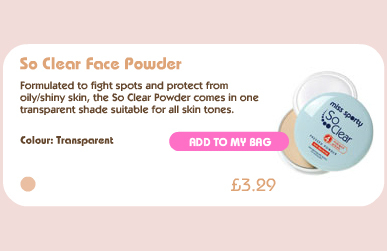 I really like that it comes in only one shade which is transparent, so it's great for every skin tone! You won't have to worry about matching your foundation ever again! You can see the sponge inside. I threw mine away after a month - I didn't feel like cleaning it since it looked like it wanted to come apart, so I got a new one. A cheap generic one from Müller. The packaging has gone through a lot. I was carrying it in my purse, sometimes I took it out and had it laying around before I put it in another bag. So I can say - it's very travel-friendly. It may not look the best, it actually looks really cheap but at this point, it's all about the product inside. The generic puff I put in after a month. Here you can see that I've been using it quite a lot. This is one of those products that I'm really sure I will re-buy. The one thing I want from a compact powder is a matte effect and long lasting power. This product has both. And it doesn't look caked! 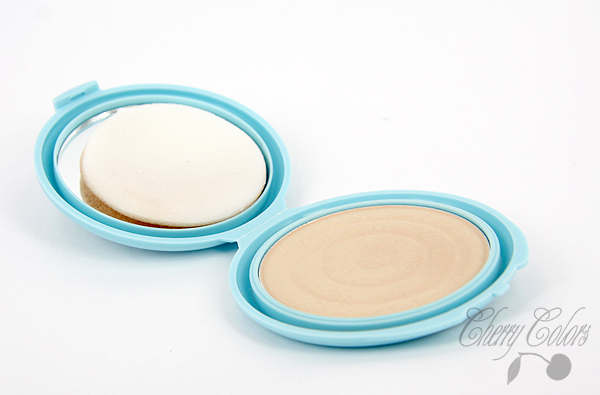 Usually, my skin becomes oily after a couple of hours and then I just apply the matte compact powder. After that, I remain oil-free for something like 6 hours which is more than good enough for me (summer time! When colder it lasts the whole day). There's nothing better than a cheap product that is really good. And for this blue gem, I can say it's fantastic. I've used many finishing powders and I know when I find a good product. One that's comparable to this is the Isadora compact powder (I remember loving it a while ago, so I need to buy it again to see what was that about), but the price difference is huge. The Essence compact powder is terrible, doesn't work well with oily skin so in the cheaper range this baby is a winner!